Qualification : Candidates must possess M.Sc/ M.Tech with Knowledge of Computer Programming for JRF post & Ph.D Or M.Sc/ M.Tech, with relevant experience for RA post. Age Limit : Candidates age limit is 18 to 28 years as on 23-08-2013. Persons with Disabilities are eligible for age relaxation as per rules. Selection Process : Short listed candidates are called for test and interview. How to Apply : Interested and eligible candidates may apply online from 05-08-2013 to 23-08-2013 from 08:00 Hrs to 20: 00 Hrs, after successful registration through online, Registration number is generated keep it for further use. Hard copy of on-line application with signature and colour photograph pasted in the appropriate column along with attested true copies of the testimonials such as Marksheets and certificates of all Educational Qualification, Caste certificate (if applicable), experience certificate etc. to the Administrative Officer (R & R), Recruitment Section (P & GA), Building NO. 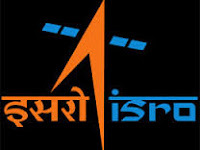 30-D, Space Applications Centre (ISRO), Ambawadi Vistar P.O, Ahmedabad – 380 015 super scribing the Advertisement Number, Post Number and Registration Number on the Front side of the cover and should reach on or before 02-09-2013 through ordinary post only.